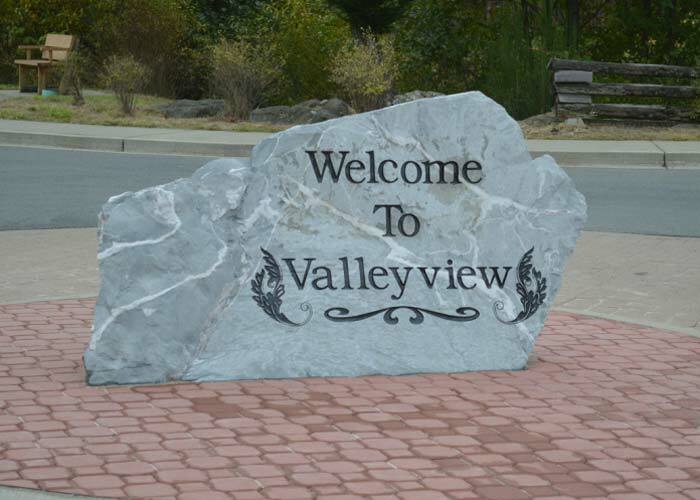 Large Rocks like the on in the Valley view example can be engraved on location. 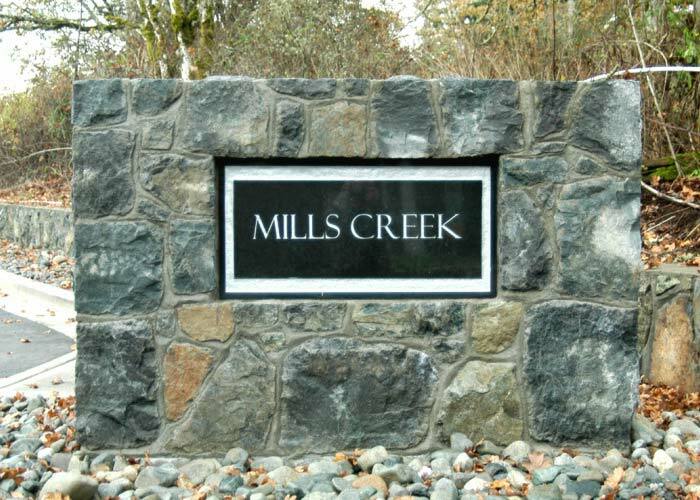 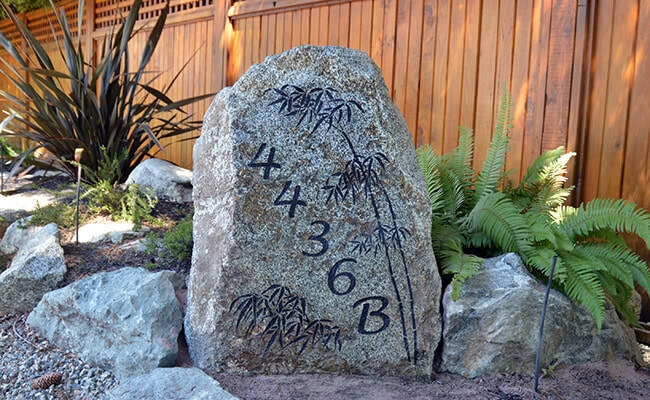 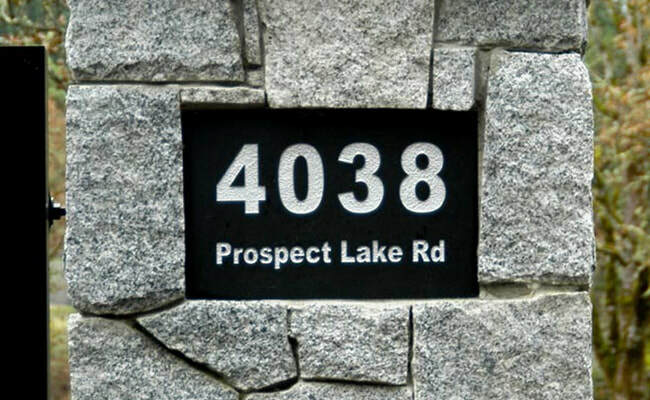 The black Granite tile for Mills Creek was engraved before it was installed in the rock wall. 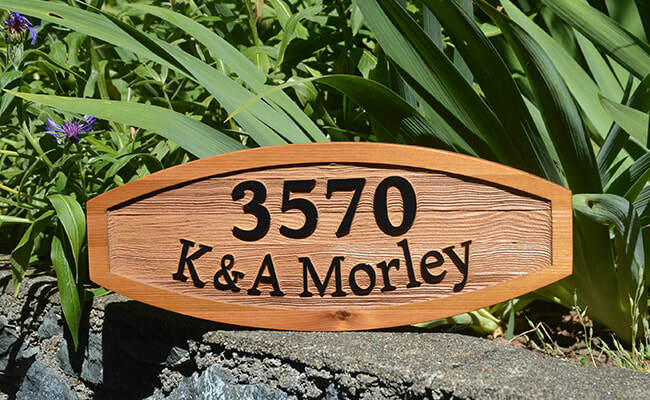 Please contact us for a quote for large signs as seen in these examples.